There are two distinct types of care – one type is medical or personal care, and the other type is companion care. In this article, we explain what the difference is, what it is that Senior Help offers, and why what we do is unique. What is medical or personal care? When people talk about elderly care, what they are often referring to is something called medical care or personal care. This is usually provided by care companies on behalf of local councils, and involves services such as measuring out and helping to give medication, bathing, dressing and helping someone to go to the toilet. This is skilled medical care, and providers of this type of care need to have the appropriate medical and caring qualifications. However, not all types of care involve administering medication or helping people in the bathroom. 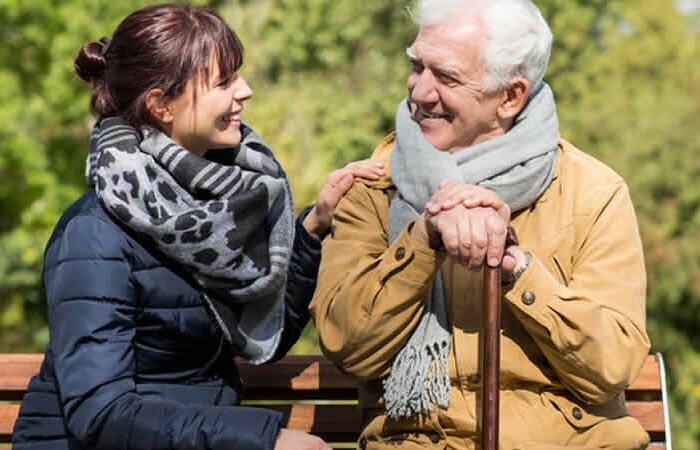 There is another side to care as well that is not personal or medical care, but is instead companion care, and this is the service that Senior Help offer. What does companion care involve? Companion care is non-medical and is not as intrusive and personal as bathing, dressing or helping someone to go to the toilet. Companion care can include almost anything that isn’t medical or personal care. So, it can mean just being there to be someone to have a conversation with, being someone to play cards with, to go to the theatre or cinema with, to go to a café, restaurant or museum with, or to visit friends or neighbours with. It might mean taking a dog out for a long walk because their owner can no longer walk very far, or going to do some shopping on that person’s behalf, or helping them with preparing a meal. It might be something as simple as going to pick up a prescription from the pharmacy, taking someone to a doctor or hospital appointment, or joining in with a hobby. It could even mean accompanying someone on a trip or on travels, perhaps to see distant family members or friends, or to visit a part of the country or world that someone has always wanted to visit but never got round to. It might just mean doing some simple chores, such as some light hoovering, washing up, making the beds, watering the plants or ironing. What type of care do care companies usually provide? Companion care and medical care is generally placed together into one service, and if you want just companion care it will usually be provided by someone who is qualified to provide medical and personal care, such as a qualified nurse, and you will therefore pay the same price to receive this level of care as you would to receive medical care. Why is this you might ask? Surely you shouldn’t have to pay as much for companion care as you do for medical care. After all, companion care is a much more pleasant job than medical care, not having to bath people, help them go to the toilet or handle medication. You don’t need medical, nursing or care qualifications to provide companion care. All of this is of course true, but of course if someone is qualified to provide medical care, they are going to charge the same rate even if you just want companion care, because it is taking them away from a job that they could charge more for. With Senior Help, there isn’t that problem. Because none of our carers provide medical care, there is only one price, and it is a lot less than a company that provides medical care. This means that elderly people can have companions for more hours per week and for less money than they would pay a medical care company, allowing them to just have the medical and personal carers for the amount of time they need those specific services. We believe that we are the first company in the UK that is offering solely companion care. Who can provide companion care? In reality, almost anyone can provide companion care. You don’t need to be medical trained or have care qualifications to be a companion carer. You need to have a caring manner, be kind and understanding and friendly, but apart from that it is a career that is open to a vast range of people, from students wanting some extra work to help pay for their education, through to part time workers like classroom assistants, people who already perform a role with a care element involved such as childminders, or even retired people who themselves are looking for a bit of companionship after stopping work, and are able bodied enough still to be help someone else. At the end of the day, we want our companions to be seen as invaluable friends by the people they are looking after, and those are the types of people we take on to be companions. With companion care therefore, the options are so much greater than with medical and personal care. The lack of qualified people in the UK has meant that councils and the NHS has been having to look to other countries in recent years to provide qualified nurses, but care companies are struggling to do this now, as immigration has slowed, possibly as a result of Brexit. There is no such issue or limitation with companion carers. However – don’t worry. Just because someone doesn’t have to be qualified, doesn’t mean we will take anyone on as a companion carer. We will check them scrupulously through our recruitment procedure, which includes a DBS check, references, and being met in their own home.